As anybody familiar with Apple products will know, music video (and pretty much everything else) is centered around the iTunes app, and if the Cupertino company had it their way, that’s how it would stay. The problem is though, it’s pretty much one way traffic, and although everything syncs smoothly in true Apple style, transferring content from an iPhone, iPad or iPod touch onto a PC or Mac is not quite as simple. In the overbearing vigilance against copyright infringement, what used to be a simple trip to My Computer or Finder can often turn into war and peace. Since the DRM was scrapped on the fruit company’s digital content in favor of vaguely traceable information on the downloader, it’s become a lot harder to extract certain files sitting on our devices. This assumption that everybody’s a pirate has helped third party applications which facilitate full device browsing and back and forth transfer. DiskAid is a prime example of how things should be done, enabling just about any file to quite effortlessly be moved onto a PC or Mac for safekeeping. The app has just been updated to version 5, and brings with it a few key new features making iDevice management easier than ever. 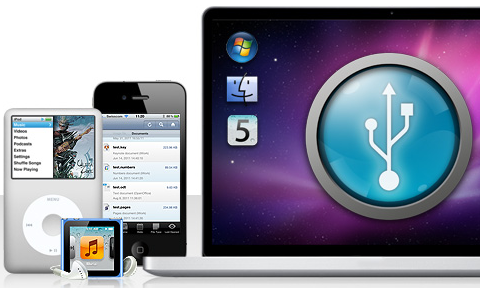 The free version of DiskAid allows users to transfer unlimited files from iOS to OS X or Windows, as well as explore the innards of Apple’s mobile operating system. The paid version, as you’d expect, steps it up a notch, allowing the transfer and backup of SMS text messages, call history log, voicemail, voice memos, notes, contacts list, music, videos, and podcasts. 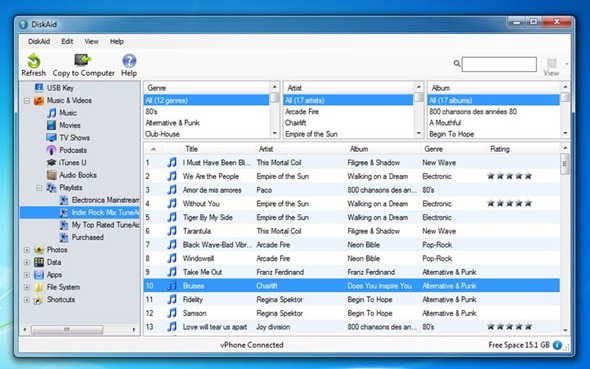 Whilst it could be argued that iTunes backs everything up in a rather simple manner, this method allows you to pick and choose which to keep and which you’d like to discard – giving you more freedom and general control. Despite allowing capacities of up to 64GB of memory, iDevices cannot natively used as mass storage devices – once again akin to the paranoid mindset that users will steal and distribute paid media. DiskAid makes that space accessible to drag and drop any file of your choosing – the perfect excuse to ditch the rather exaggerated USB dongle. The full version costs $24.90, which is very reasonable for quite simply the best all-round iPhone, iPad and iPod touch file transfer utility. Grab it now from the DigiDNA website!